A mesothelioma clinical trial offers a unique opportunity to try an experimental new treatment. If a potential new treatment reaches the mesothelioma clinical trial stage that means it shows promise. 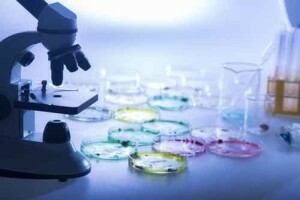 Any potential new treatment must undergo extensive laboratory testing in test tubes and Petri dishes, possibly with laboratory mice, and must prove successful. Then the experimental treatment is ready to move up to the next level. That means careful testing with human volunteers. That is where you come in, if you and your doctor think it is a good idea. Most mesothelioma clinical trials are conducted by universities and hospitals with the approval of the federal government’s National Cancer Institute (NCI). NCI is a branch of the prestigious National Institutes of Health located right outside of Washington D.C. in Bethesda, Maryland. NCI focuses exclusively on research for all types of cancer. The new mesothelioma clinical trial we report on below is being conducted by NCI itself at its headquarters. That may suggest the treatment being tested shows real potential. That does not guarantee success – for you as an individual or for the treatment in general. At the very least, you will be getting a lot of attention from leading experts in mesothelioma and you will be helping further scientific knowledge of this disease. Mesothelin is a protein that is found in mesothelioma and other types of cancer cells. An experimental cancer drug called SS1P has been designed to attack only cells that contain mesothelin while leaving healthy cells alone. Researchers want to test how effective SS1P is when it is given with two other drugs called pentostatin and cyclophosphamide. These two drugs help suppress the immune system which may make the SS1P more effective. Researchers will be measuring the response of tumors to the treatment and whether participants experience any unpleasant side effects. Eligibility – Must be over 18 with confirmed mesothelioma and have had at least one round of chemotherapy treatment. Patients must not have another type of illness or condition they are taking medication for because that might interfere with the results.